Spring is well underway – in fact, it’s pretty much summer or at least it should be! 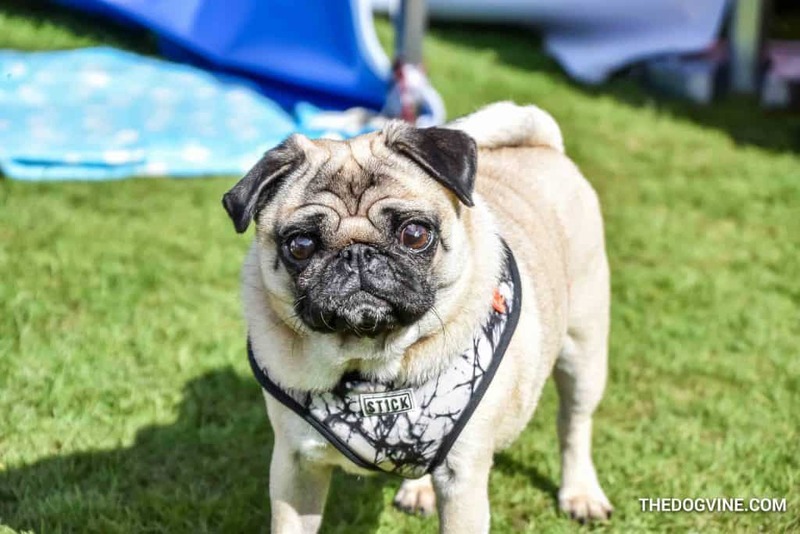 As the temperatures start to heat up, so does the London Dog Events Calendar with loads of wooftastic events galore on the agenda so it’s time for your monthly dose of the best things to do in London for dogs. Plus we love the month of May as it comes with two lovely bank holidays to enjoy which means more time spent with our four-legged friends. And should you wish to get out and explore, then look no further than May’s round-up of ‘Events and Things To Do In London for Dogs‘ or our ‘Directory of London Dog-friendly places‘ to help you do just that. 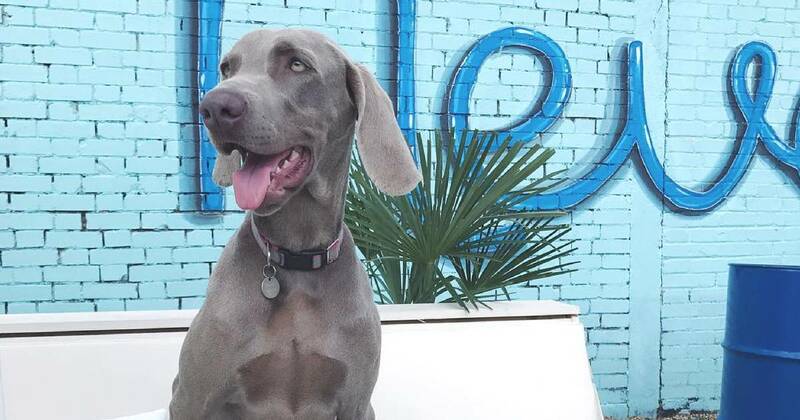 Neverland, London’s urban beach in Fulham is back in town next month and the best bit is that Neverland is dog-friendly! From May 3 until August 31 you won’t have to leave town (or your pup at home) to feel the sand between your toes at the Neverland Dog-Friendly Beach. Even if the sun is not shining, at Neverland beach you’ll still feel like you’ve escaped London…think palm trees, pergolas and pastel painted beach huts all crying out to be featured on insta. And if you’re more the active type, then there’s a pretty packed events and activities programme to keep you busy too with table tennis, mini-golf and more. Neverland beach is open weekly from Wednesday to Sunday and costs from £5 for general entry. When: Wednesday – Friday: 6pm -11pm | Saturday: 12pm – 11pm | Sunday: 12pm – 8pm. Note – for those bringing their dog, dogs are only allowed until 5pm (as are children) so weekends only. How to Get There: It’s a 10 minute walk over the bridge from Wandsworth Town station (closest) or from Fulham Broadway Tube it’s about a 20 minute walk or 10 minutes on the bus (No 28 or No 295). Cost: General Entry from £5 and booking in advance is advised to guarantee entry – Book here. 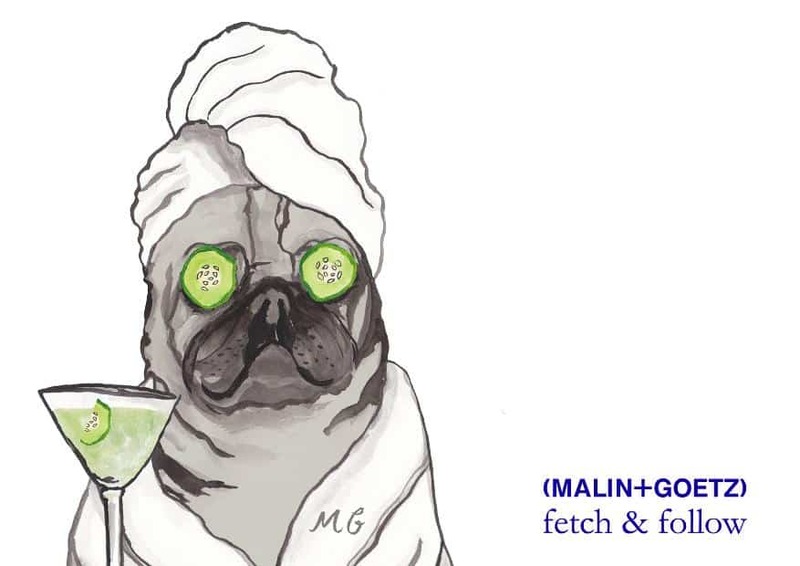 On Thursday 3 May, pets, people and pampering collide for an in-store party to celebrate the launch of Malin+Goetz’s new Revitalising Eye Gel at their Seven Dials boutique. 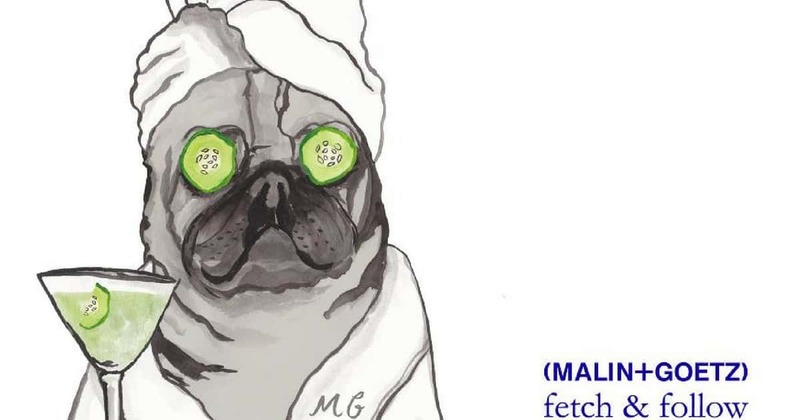 Dog-owning beauty lovers can sip on complimentary Gin & Cucumber cocktails and enjoy mini facials tailored to the eye contour, while their furry friend mingles with the other four-legged guests. 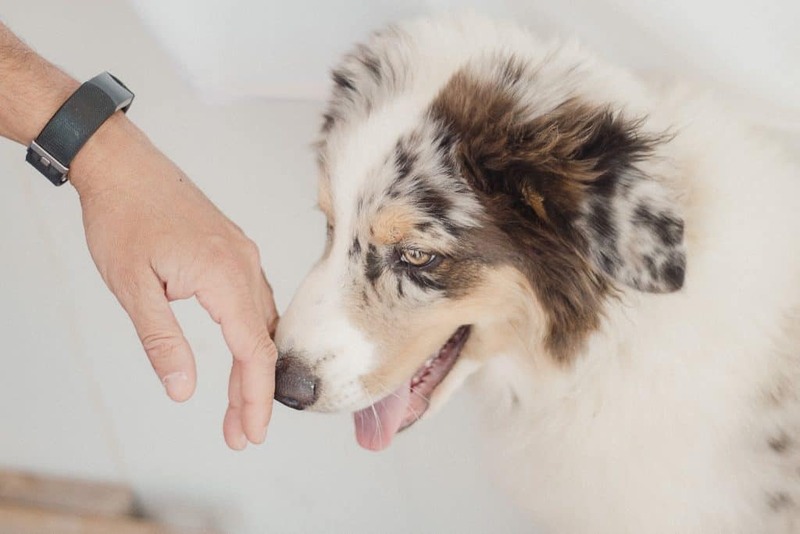 In between catching up on the latest park bark, pups can get a pep-up from experts Groom Dog City, who will be dispensing nail trims, ear cleans, brush ups, heavenly spritzes and more. Fetch & Follow will also be offering personal styling for dogs from their new Spring collection, which is inspired by the Japanese philosophy ‘Mottaini’ ‘ a sense of regret concerning waste ‘ and the traditional Japanese patchwork mending technique of Boro. Treat your dog to a Patchwork Jersey Pullover, Lightweight Summer Reversible Jacket or perhaps a leather collar embossed with rules to live life by ‘ ‘Wild & Free’ or ‘Love and Peace’. Malin+Goetz will be offering a free travel duo with every product purchase on the night including Peppermint Shampoo and Bergamot Body Wash.
Malin+Goetz, 6 Monmouth St, London WC2H 9HB. Pets Against Loneliness – Alleviating Loneliness Four Paws at a Time. We wish to welcome you to the third of PAL’s morning tea events, the PAL May Morning Tea. We’re a group of volunteers bringing together older members of the community, who may feel isolated, with friendly, well-behaved dogs and their owners for a morning of tea, cake and joy. On Saturday 5th May, we will again be holding our a free, drop-in morning tea session at New Unity Newington Green Meeting House on Newington Green, Stoke Newington N16 9PR. We would like to invite you to come along, meet new people and enjoy some quality time with loveable dogs and their owners. On the first Saturday of each month, we host free, informal, drop-in morning sessions for tea, cake and joy. The venue is accessible although there is no disabled toilet. 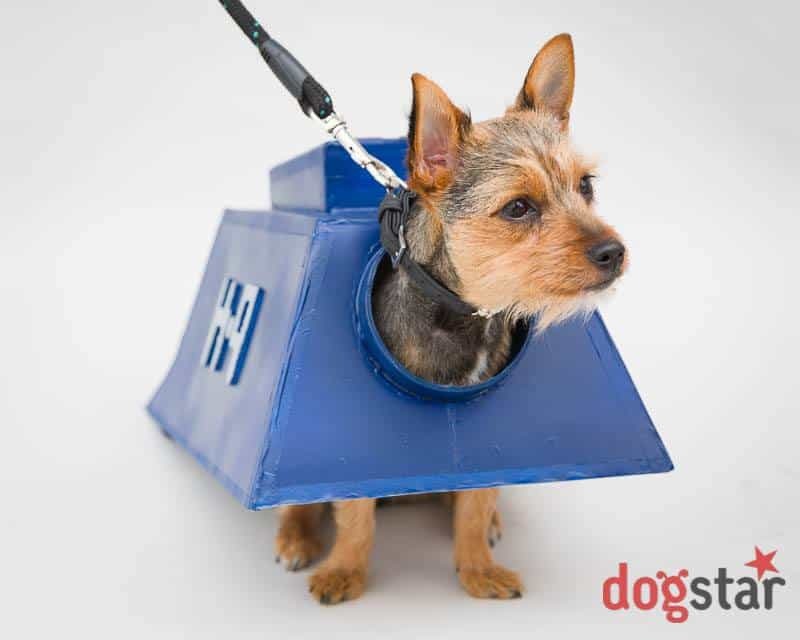 It’s not all serious dystopias and paranoia at the festival, Dogstar PHOTOS present SCI-FIDO: The world’s only sci-fi cosplay for dogs! In aid of the amazing charity, ALL DOGS MATTER. Got a four-legged friend who likes to dress up as a sci-fi or fantasy character? Or a pooch that looks like Leia? Bring them along to our ‘dressed-up dog’ photo session. Have your dog professionally photographed for free and the best dressed dogs will win goody bags and a framed print of their photo! 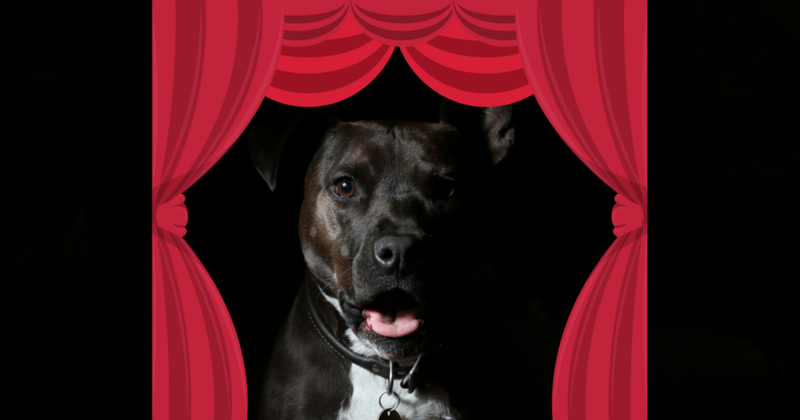 Picturehouse Dog-Friendly Cinema New Date Announced! A film for all the family including the dog! 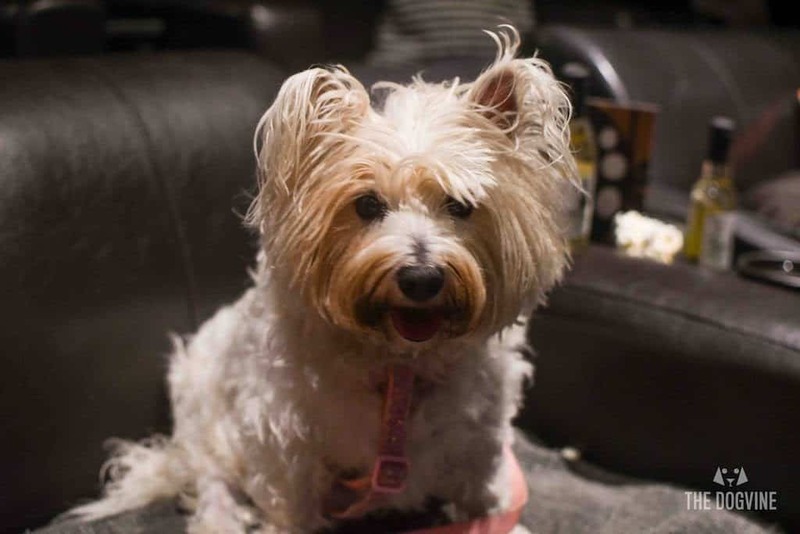 Read our review of the last Picturehouse Dog-Friendly Cinema screening at Clapham Picturehouse. Paws for Tea, the ultimate guilt-free tea party, is back. Every cake cut, digestive dunked and cuppa quaffed will raise money for unwanted and abandoned pets. So you can enjoy an extra slice, all for a good cause! To reflect the special role pets play in our lives, this year’s theme is Best Friends. And with a Royal Wedding to celebrate, what better excuse to gather friends or colleagues together enjoy each other’s company. 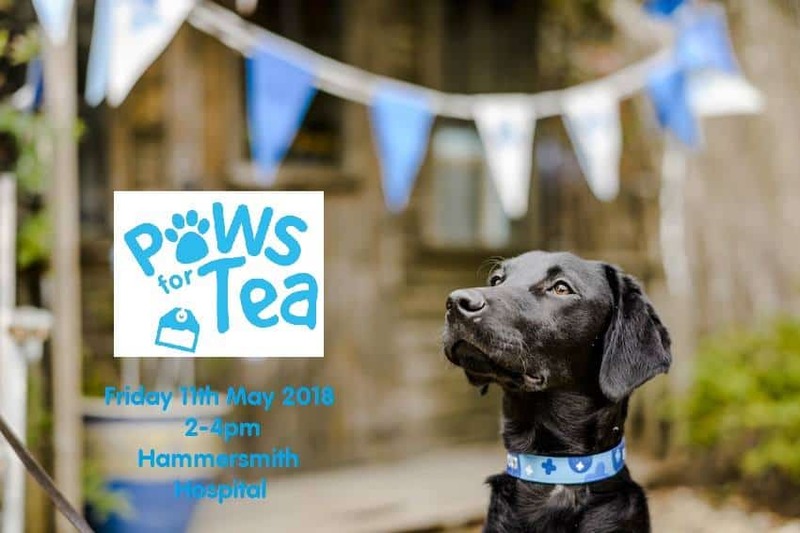 So paws up if you would like to join us at our annual tea party! We will be hosting with tea and cake at the hospital from 2-4pm on Friday 11th May, all to raise funds for our wonderful charity! £2.00 Car parking all day. Great Hampstead Bark Off 2018! PAWS AT THE READY! 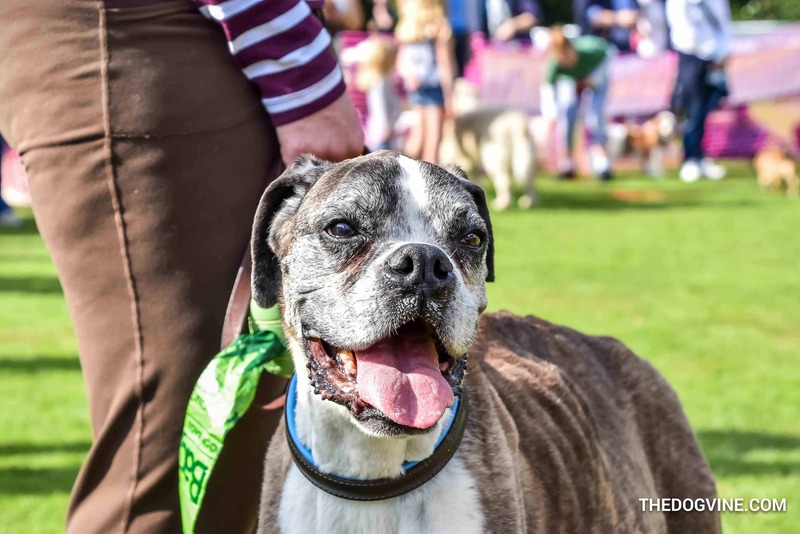 The Great Hampstead Bark Off 2018 returns to Parliament Hill on 12th May! Great Hampstead Bark Off 2018! PAWS AT THE READY! 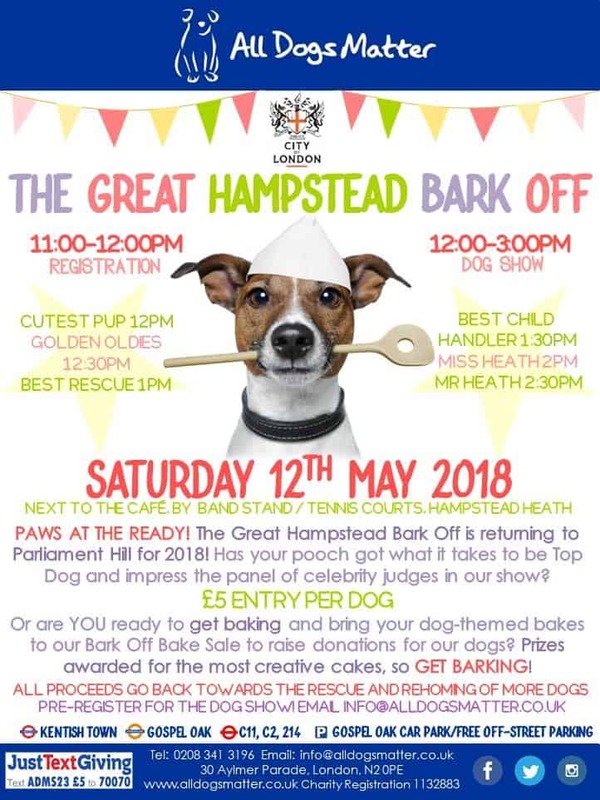 The Great Hampstead Bark Off 2018 returns to Parliament Hill on 12th May! Has your pooch got what it takes to be Top Dog in our show and impress our panel of celeb Judges? 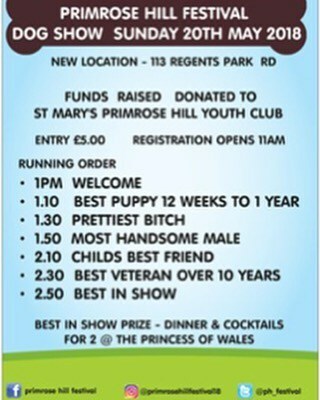 £5 entry per dog! There are 6 categories to enter in the dog show, you can pre-register by emailing info@alldogsmatter.co.uk please just remember to put BARK OFF in the subject line! Please note times are approximate and may be subject to change on the day. Or are YOU ready to get barking and bring your dog-themed cakes to our Bark Off Bake Sale to raise donations for our dogs in need? Prizes for the most creative cakes, so get BARKING! We also look for donations from cake shops, bakeries, patisseries etc to go towards our Bark Off Bake Sale! Donate a doggy themed cake and help us raise funds for our dogs in need! To see what’s in store, have a read of our blog post from the Great Hampstead Bark Off 2017. Dogs may be a man’s best friend, but all too often, they get the short end of the (chewing) stick and miss out on much of the human fun. 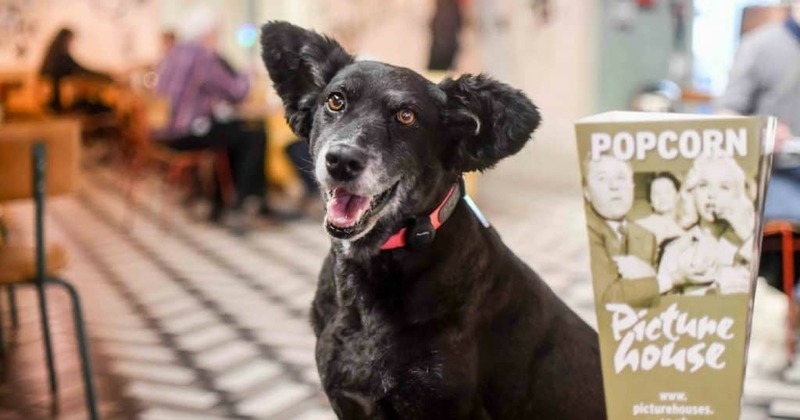 This is why the pooch-friendly establishments of Exhibit Bars in South London are hosting a series of canine-friendly cinema screenings for dogs and their parents to enjoy together. 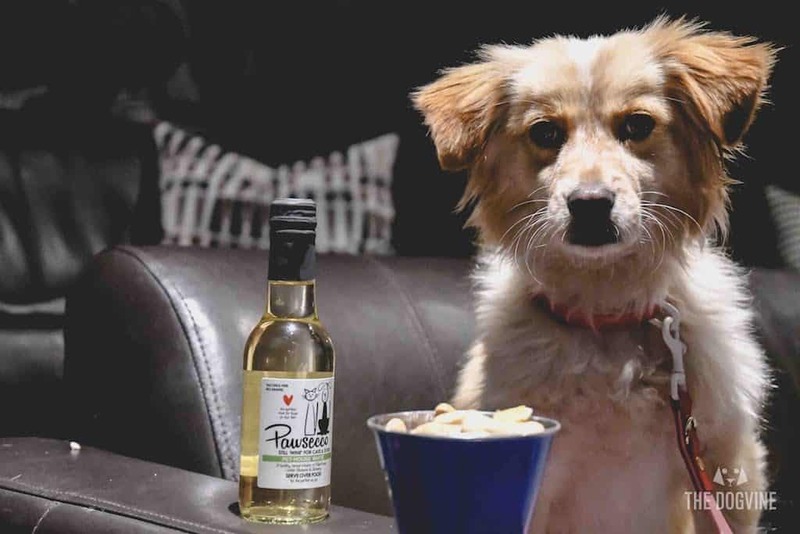 Not only will the screenings feature some of the best doggy movies of all time, but dogs will be treated to bottomless treats and a glass (or bowl!) of Pawsecco on arrival. See our exclusive Puppy Love Brunch Cinema Club Preview review here to see what it’s all about! Exhibit Bars are well-known for their boutique cinema screens. In Balham, the 28-seat cinema features leather sofas where dogs and their parents can snuggle up together. Meanwhile in Streatham Hill, Exhibit B’s Dark Room screening area will become a canine paradise with blankets and cushions for the dogs to relax on. All Puppy Love Brunch Club films have been hand-picked to be dog friendly and will be presented with lower audio levels so as not to scare the dogs. 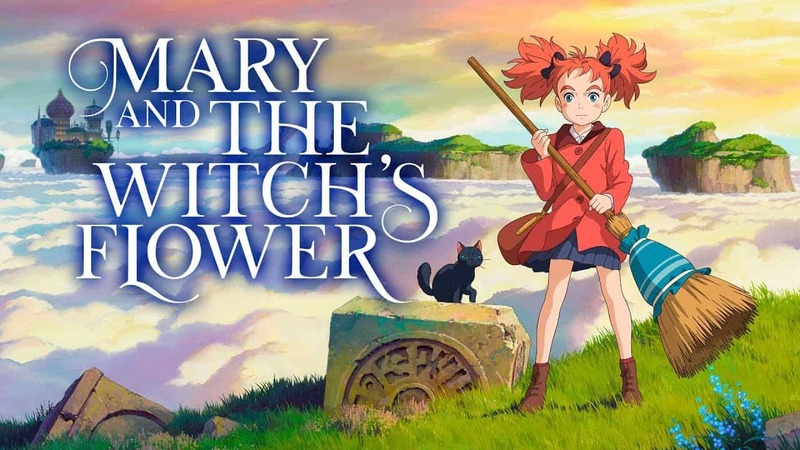 The first films will be ‘Turner and Hooch’ and ‘Lady and the Tramp’. Tickets for screenings include brunch dish and an hour and a half of unlimited bubbles for human guests. Dogs go free and receive the full VIP treatment with bottomless treats, a glass of dog-friendly fizz on arrival, and as many hugs as they can cope with from the Exhibit team! The Puppy Love Brunch Cinema. 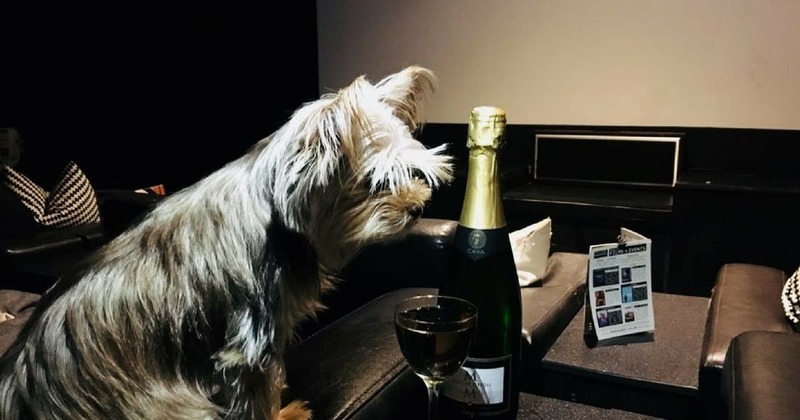 Dog-Friendly Cinema Exhibit Balham | Puppy Love Brunch Cinema Club launches on 12th May at Exhibit in Balham, with further showings on 3rd June and 23rd June. There are also Puppy Love Brunches taking place at Exhibit Streatham, see our London Dog Events Calendar for more info. 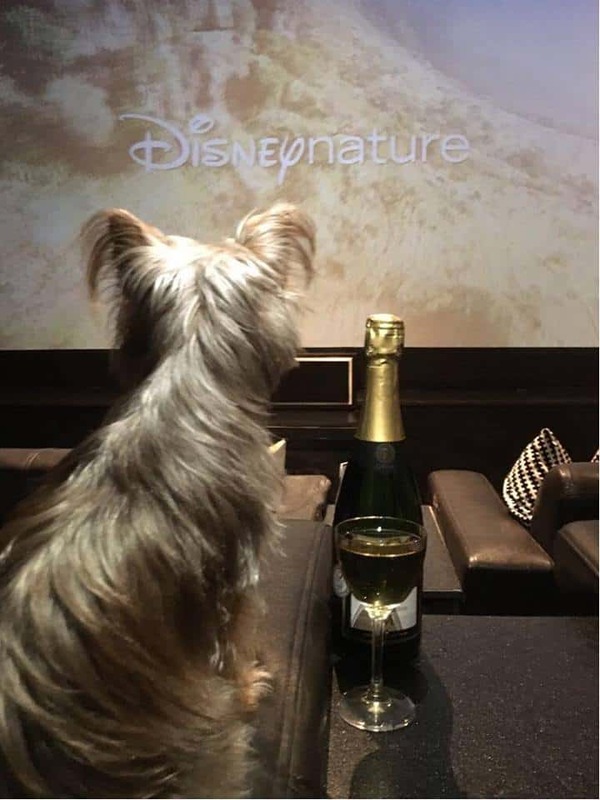 Tickets for Puppy Love Brunch (Film: Lady and The Tramp) are available from: Dog-Friendly Cinema Exhibit Balham | Option 1: £15 – cinema + brunch or Option 2: £30 – cinema + brunch + 1.5hrs unlimited bubbly for human guests. The Dog Society GB present The Cockapoo Canine Capers Hangout on Saturday 12th May 2018 in Greenwich Park at 1pm at the Bandstand. Some things are worth getting out of bed for, so why not come hangout with us and your Cockapoo. 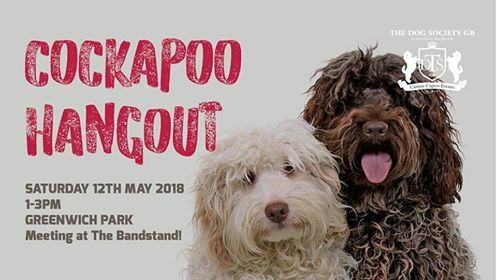 You are welcome to come along with your pooch to socialise, play and meet other Cockapoo’s. 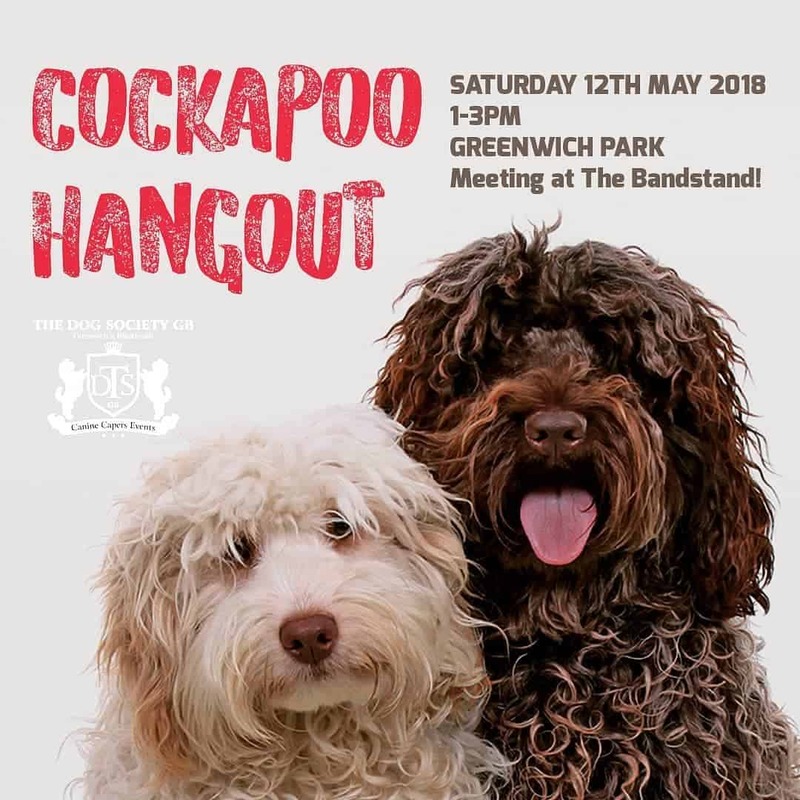 After the introductions we will take a short walk in Greenwich Park where after you are most welcome to join us at the local pub The Royal Standard Blackheath a very dog friendly pub to hangout, eat or maybe a tipple or two. All ‘Poos welcome including Maltipoo, Labradoodle, Goldendoodle, Schnoodle, Yorkipoo, Pomapoo, Shihpoo, Poochon, Bernedoodle & Bassetoodle. More info on The Cockapoo Canine Capers Hangout here. 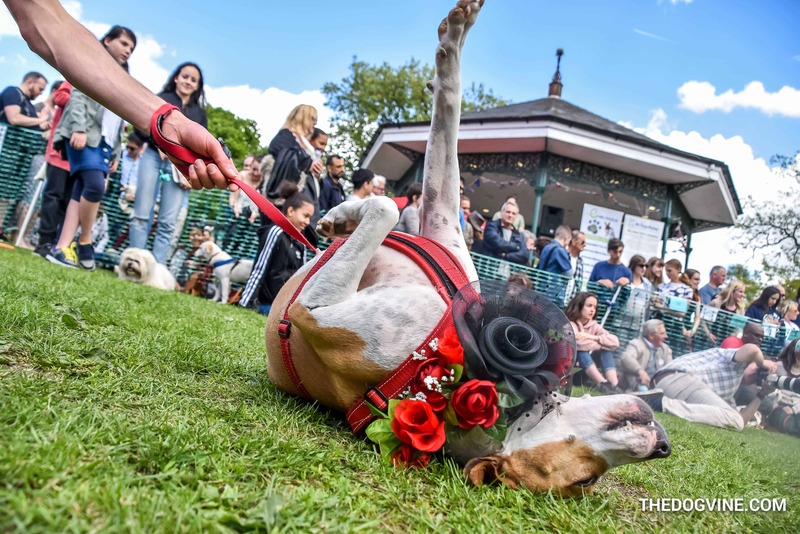 Run by local vet clinic, The Vet on Richmond Hill and supporting Medical Detection Dogs UK, the Richmond May Fair Dog Show 2018 will be a fun event for all the family ….including man (or woman’s) best friend! There are ten fun categories from ‘Best Fancy Dress Duo’ to ‘Best In Show’ to enter at richmondmayfairdogshow.com click on the link to register your pup! The Vet on Richmond Hill is a family run independent veterinary practice which prides itself on friendly professional veterinary care. The only veterinary practice truly based in Richmond, it is located on Richmond Hill’s Friars Stile Rd, headed up by Veterinary Surgeon and Partner, Scott Miller. 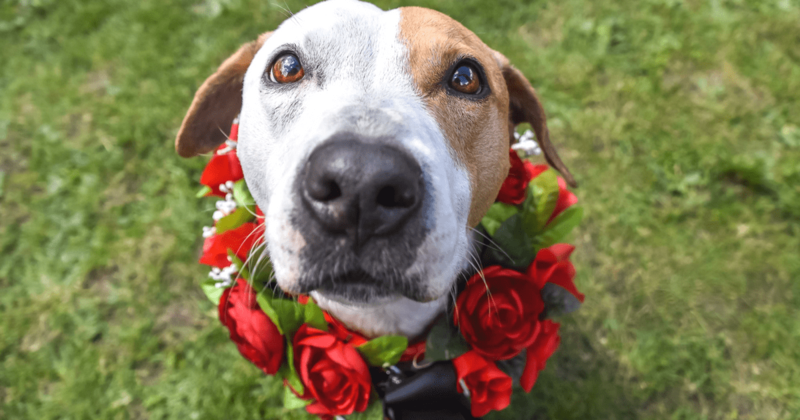 Having a strong community spirit and passion for animals and their welfare, The Vet on Richmond Hill is proud to sponsor and run The Richmond May Fair Dog Show 2018. Medical Detection Dogs is a UK based charity working to train dogs to assist people who manage complex medical conditions on a day to day basis. The charity is also involved in research, aiding the diagnosis of conditions such as cancer by training canines to detect the odour of human disease. 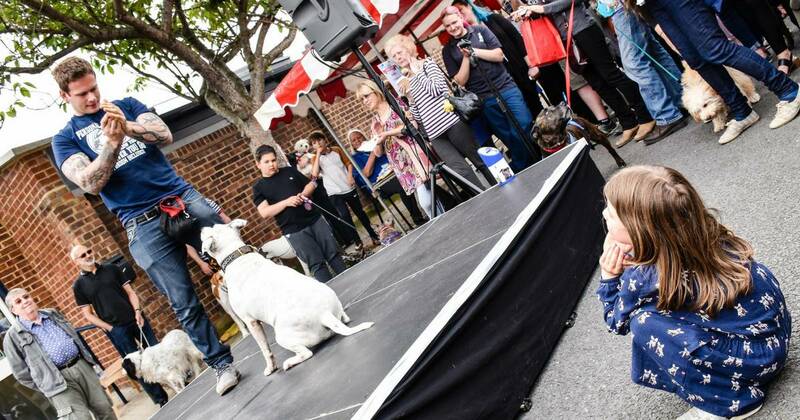 Save the date & join the street party at the Mayhew Open Day 2018 and enjoy a unique look behind the scenes at how furry residents at this London Animal Charity are cared for. You can visit the cattery and meet the occupants waiting for homes or tour the veterinary clinic and practice your operating skills. Then relax with Mayhew Therapaws dogs who love meeting new people. Outside you can enjoy our veggie BBQ, cocktails, live music & garden games. There will also be plenty of stalls to browse with treats for both your two legged and four legged family members. More information coming soon on the Mayhew OpenDay 2018 in the meantime have a read of our blog post from when we visited the Mayhew Open Day. The Primrose Hill Festival and Dog Show will take place on Sunday May 20th from 10am-6pm. The Dog Show has actually outgrown where it was on previous years so this year there will be a bigger show further down Regent’s Park Road. 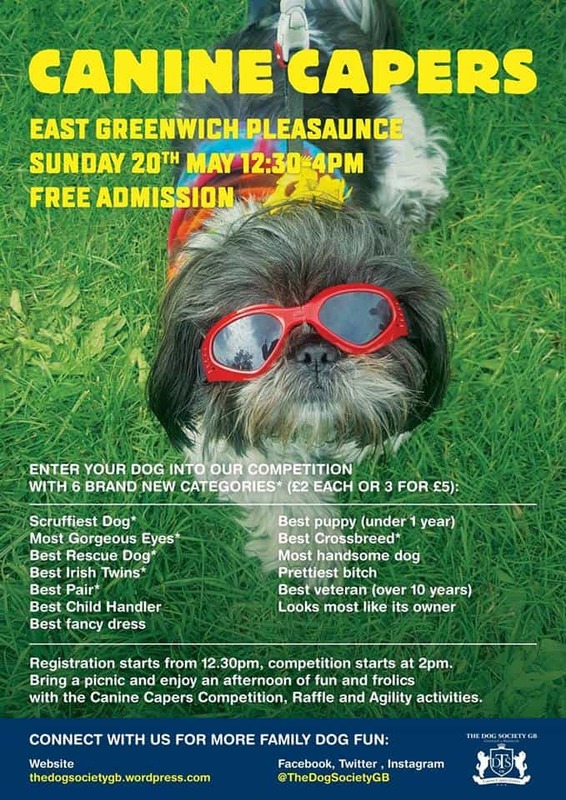 The Dog Society GB will be hosting Canine Capers at East Greenwich Pleasaunce. 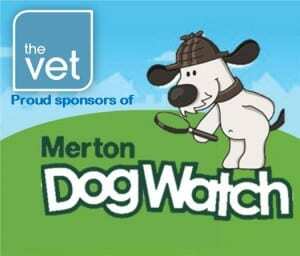 We will hold an afternoon of Canine Capers fun and activities for dogs their owners and families. FREE dog waste bags supplied by The Royal Borough of Greenwich. Bring a picnic and enjoy the Canine Capers Competition, The Canine Capers Raffle, Dog Agility Activities and enjoy an afternoon of fun and frolics. 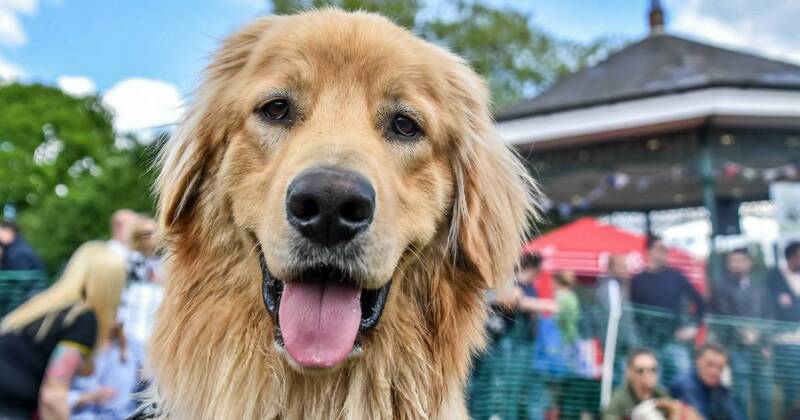 Canine Capers at East Greenwich Pleasaunce Registration will close prompt at 2pm! so probably best to get there a little earlier to complete your entry form as always a queue and no entries will commence after 2pm. The competition will start 2.15pm.The competition classes above and on the poster are the order which we will proceed on the day. Event info here. Dogs Take Over The Theatre is a night for local dog owners to meet (limited to 20 woofers) where dogs take over The London Theatre. Abba our theatre dog will be manning the bar, it will be chaos but fun. Dogs can run around off lead and we have a garden area for poo poo and lots of doggy treats. Dogs take over the theatre is a FREE EVENT and there will be a cheap theatre bar! You don’t even need a dog to come along, just like them and be prepared to give lots of cuddles. From 7pm to 9.30pm. Front gate locked so dogs can roam outside freely. Just call the theatre on 0208 694 1888 to be let in. Apologies but children under 14 at this event are not permitted. 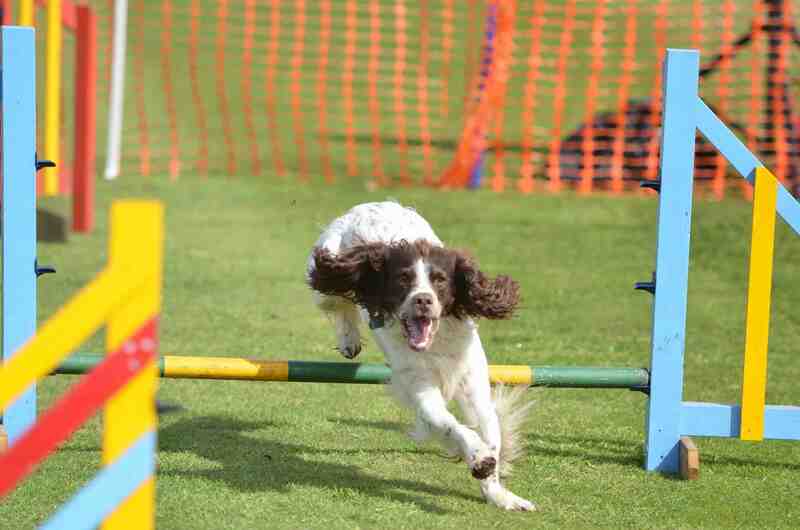 The Non Such Festival of Dogs has has something for every dog from Charity Dog Shows on both days with over 20 classes to Have A Go Dog Agility and demonstrations, Sniff and Smell, Main Dog Rings, Dogs Have Got Talent, Chase the Bunny and so much more. Puppy Love Brunch Cinema Club launches on 28th May at Exhibit in Streatham, with further showings 23rd and 30th June. There are also Puppy Love Brunches taking place at Exhibit Balham, see our London Dog Events Calendar for more info. Tickets for Puppy Love Brunch (Film: Lady and The Tramp) are available from: Dog-Friendly Cinema Exhibit Streatham| £25– cinema + brunch + 1.5hrs unlimited bubbly for human guests. That’s a wrap for this month’s Things To Do In London For Dogs! 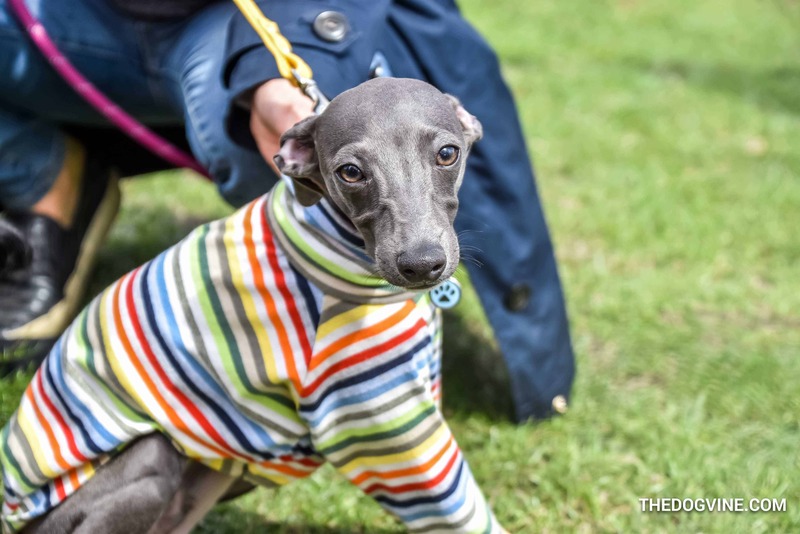 Don’t forget to check out our What’s On Woofs London Dog Events Calendar or our Guide to London Dog Meetups for more dog-friendly things to do with your dog in London next month and beyond. 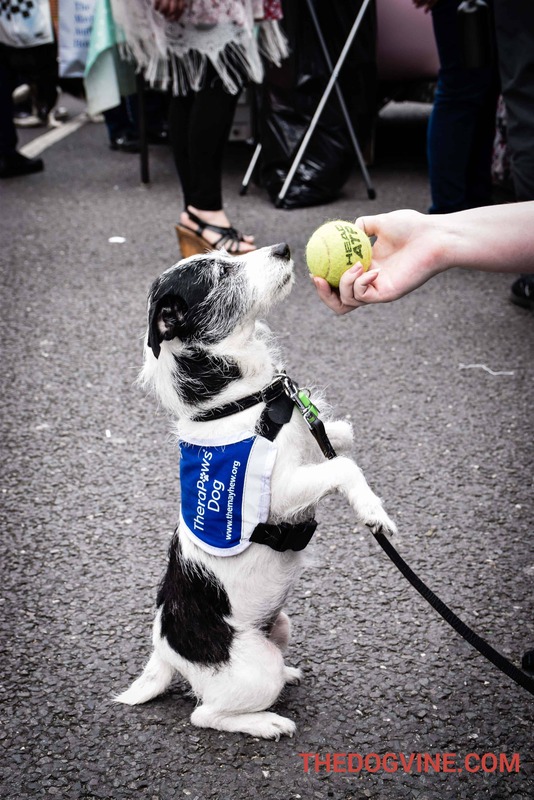 You can see our features from past London Dog Events on the blog here – you may even spot your pup! And if you have a London Dog Event you’d like us to woof about, give us a bark and we’ll add it to the list.